Vue17 is a 4400sf, state-of-the-art, broadcast-ready hospitality suite with panoramic views overlooking downtown St. Louis. The space was designed with flexibility in mind and features a main stage area with integrated media and LED lighting, operable scrim room divider panels and movable bar element. The project scope of work included interior design and broadcast design services as well as construction administration. Vue17 was designed in conjunction with Peter Hyde Design. "What we saw first was the view. Breathtaking in every season, Vue 17 shows off the beauty of St. Louis in panoramic fashion. We kept the space as open as possible so that when the sunset makes the city glow, you get to see all of it. 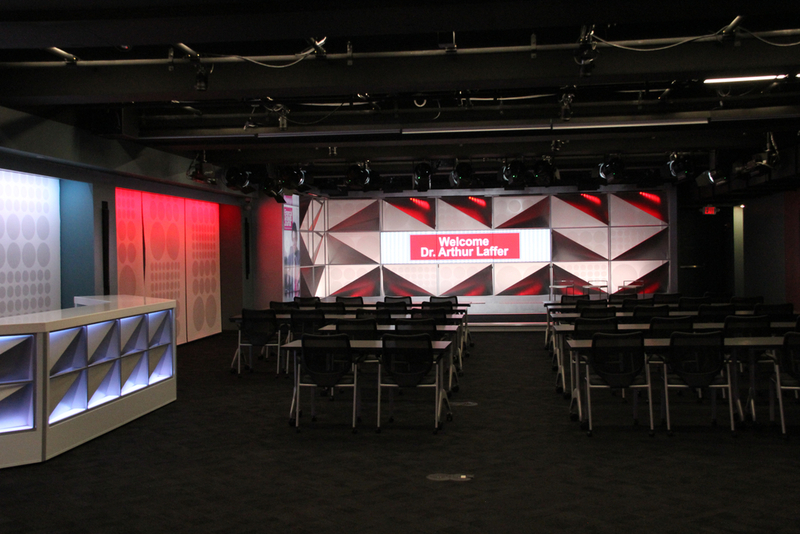 This technologically brilliant broadcast and event space takes corporate meetings, receptions, parties, and product launches to new heights. Vue 17 is the culmination of the thousands of events our team members have planned, chaired, and hosted over the years. When it came time to open our own event space, we were determined to create something gorgeous and state-of-the-art. With that in mind, we equipped Vue 17 with the things we always needed and wanted at our own events: flat screens, theater lights, modern room dividers, a catering kitchen, a seamless and easy-to-control sound system, and the ability to scale up to more complex audiovisual needs. Plus, our media wall creates a subtle and sophisticated backdrop that’s as fetching as it is functional. 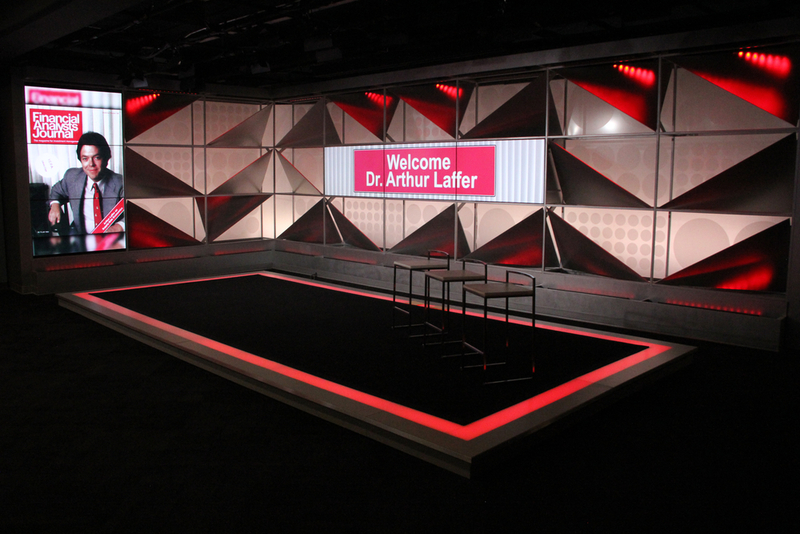 The end result: a versatile, stunning space with amenities that enrich every type of event."